Why Weight Training for wrestling sport? "To Build Strength and Explosiveness"
The sport of wrestling is a difficult one because it does requires quite a bit of power, strength, endurance, and explosiveness. That said, all of these attributes can be developed with the right effort and commitment in the gym. In the past, it was believed that lifting weights was a bad idea if you wanted to be a great wrestling. Myth Debunked. The prevalent myth at the time was lifting weights would make you muscle bound and unable to perform at peak levels. This is untrue because a decent weight training program can help enhance wrestling skill potential immensely. First and foremost, weight training for wrestling needs to embody strength training. A bodybuilding program will do next to nothing for someone hoping to enhance his potential on a wrestling mat. 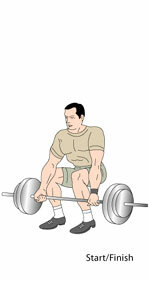 Therefore, the bulk of these exercises must revolve around relatively heavy weights for low reps. This certainly does not mean you try to max out on your heaviest weight. That would be more along the lines of a powerlifting routine which is not the prime focus here. Also, you will need to stick with compound exercises known to enhance strength potential. You will be drawing upon these large muscle groups for your ability to perform on the mat. As such, they need to be stressed quite a bit. That said, certain isolation exercises such as leg extensions would be advised since they can help support the compound muscle groups. However, isolation exercises should never be the focus of weight training for wrestling. Upon completing this three day workout, a fourth day will be added that ups the intensity level of sport specific weight lifting for wrestling. This will entail taking one or two isolation exercises and performing them at low/moderate weight extremely slowly. This is done at full range of motion and is intended to enhance results. This can be a really tough workout and one that will lead to feel your muscles burn. 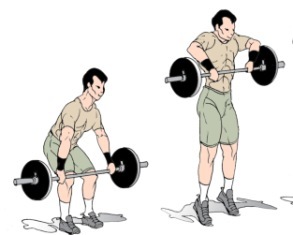 However, it will enhance isometric strength which is absolutely critical for success on the wrestling mat. A pyramid drop on one of the compound exercises is recommended since this is a great strength booster for those that love to wrestle. Basically, this entails lifting heavy weight for low reps and increasing the number of reps as you remove weight from the bar. For example, you could start with 3 reps of 100lbs and then end with 15 reps of 25lbs with a gradual or pronounced reduction in between the first and final set. How much weight you remove will be based on how many sets you are interested in performing. All in all, weight training for wrestling is not all that tough. You just need to focus your sets and reps on a program designed to boost sports specific results.